Most of the houses were made of wood so the fire spread easily. Tibetan town engulfed in flames. A TEN HOUR inferno has raged through an ancient Tibetan town in China’s southwest Yunnan province that’s popular with tourists. There is no immediate report of casualties and the cause of the fire is unclear. 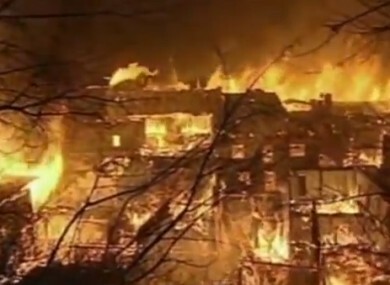 The Deqen prefecture government said the fire broke out at 1:27 am, local time, in the ancient Tibetan town of Dukezong. It says more than 1,000 fire fighters responded to the blaze and brought it under control after 11 am. The official Xinhua News Agency says more than 100 houses were destroyed. The state-run China Central Television says most structures in Dukezong are made of wood and the fire spread easily because of dry weather. Photos and video footage show the town engulfed in a sea of fire that turned the night sky red. Email “Fire destroys 1,000-year-old Tibetan town ”. Feedback on “Fire destroys 1,000-year-old Tibetan town ”.